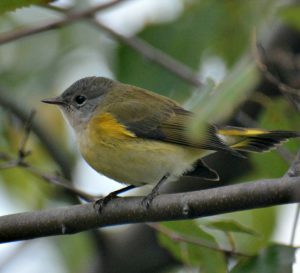 Well most people believe that all birds migrate such as the female Redstart (warbler species) in the above photo. She was taken just a few days ago in my River Birch and she is definitely migrating south for the winter. The reason being is that this particular bird species feeds mostly on insects which are very abundant throughout the summer months around here. However in autumn, the number of insects starts to decrease and consequently, because of this decline, warblers will leave for warmer climates where the food supply is plentiful. This is called a long distance migration. Hummingbirds also fall into this category. But not all birds will migrate. In fact some birds will remain as permanent residents in your backyard. You know the birds that I am talking about too. 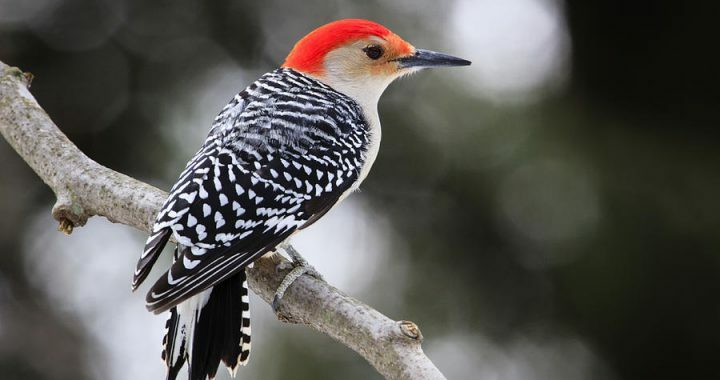 They are the birds that you always see at your backyard feeders or around in the woods. For example, many of the species of owls such as the Great Horned, Screech, and Barred Owls stay put because their diet of small rodents like mice, rats, moles, and squirrels are pretty easty to come by. 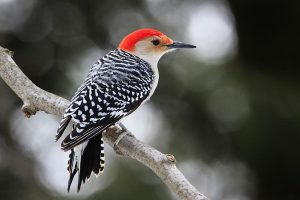 Woodpeckers like the Pileated, Red-bellied, Downy, and Hairy will eat insects that they find easily under bark but also suet and peanuts, so can survive a cold winter and will stay. Then there is the White-breasted nuthatches, Carolina wrens, Tufted Titmice, Chickadees, Northern Cardinals, Northern Mockingbirds that are all permanent. The reason that these birds stick around is because there is always an adequate food supply for them which can be seed, nuts, and/or berries in the winter. Yet they also will eat suet if it is put out for them. 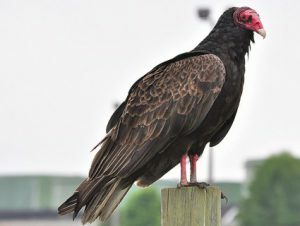 Interesting enough, the Turkey Vulture or “the buzzards” can also be a permanent resident depending on where you live. I live in the state of Kentucky so they are year-round here. It is always funny to me that people in my area think that when they start to see the “buzzards” again, that means spring is here. However, that is not the case they have been here all year, people just don’t notice them, especially if they live in a suburban area. Then there are the birds that migrate a medium distance such as from state to state like the Cedar Waxwings and Blue Jays. While Blue Jays may travel this distance a lot of times they will be permanent residents as they can live off of seeds and nuts. Cedar Waxwings may travel medium or long distances depending on the food supply too. 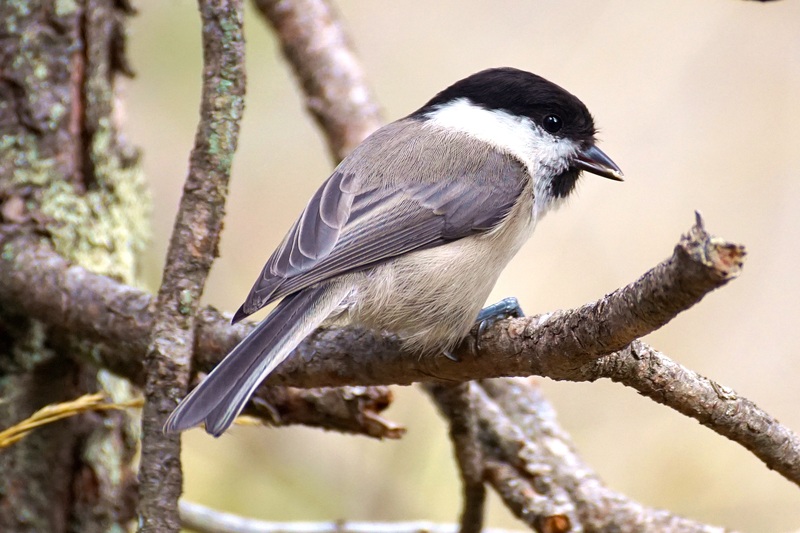 They eat insects, and love small fruit such as what you find on dogwood trees, serviceberry, cedar, juniper, hawthorn, and winterberry bushes. 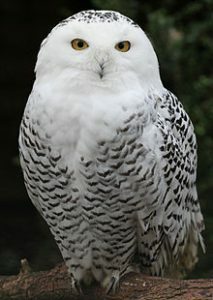 The Snowy Owl is another bird species that can either travel a medium distance but may also go a long distance. Snowy Owls mainly eat small mammals such as lemmings,but will also eat ptarmigan, rodents, rabbits, hares, squirrels, weasels, wading birds, seabirds, ducks, grebes, and geese. They have been know to travel long distances when the food supply is low. For example, this owl winters in southeastern Canada, the Upper Great Lakes, or New England but there have been numerous sightings in the past few years in southern Ohio and Kentucky. This is always a good thing as then my husband and I will travel to go see this beautiful owl. It is a definite must see for anyone even if you are not a birder! Some birds only travel a short distance such as from higher to lower elevations on a mountainside. They can also be permanent residents. Quail and the American Dipper are examples of this. 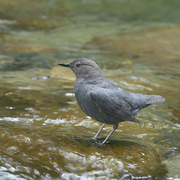 For example, the American Dipper which you will find along streams in the mountains feeding on aquatic insects and fish eggs to name a few, may have to move to lower ground due to frozen water. So the answer is yes, many birds do fly south for the winter. Warblers and hummingbirds will fly long distances back home to South America every year when food supply starts to get low and when breeding season is over. Other birds fly shorter or medium distances like quail or dippers. They go as far as they need to for food. There are also permanent residents that stay all year round. These are Northern Cardinals, Chickadees, Tufted Titmice, Woodpeckers, Owls, Jays, and Mockingbirds mostly. All birds are welcome at my feeders in my yard as I like to attract them in. However, I do love when the migratory birds come through and/or maybe even stay a while because it makes bird watching a lot more fun and entertaining!